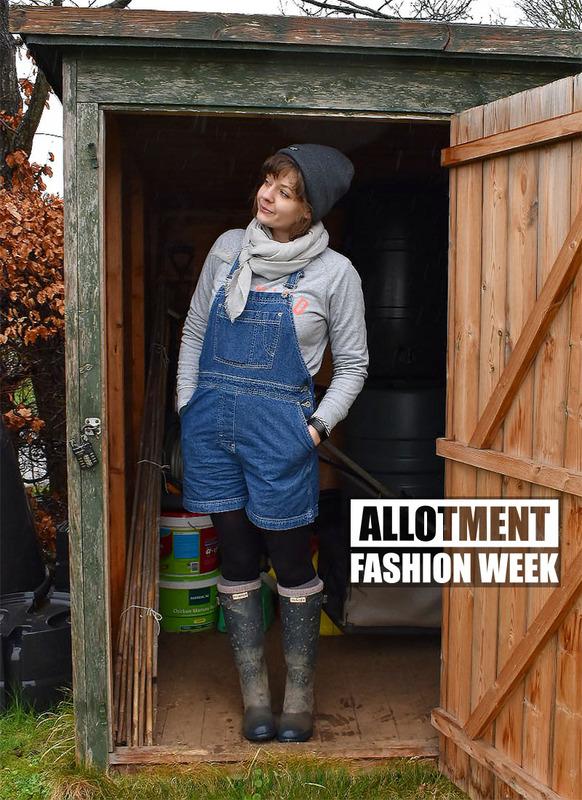 If there’s one thing we discover about women during Allotment Fashion Week it’s that that they do like to balance glamour and style with practicality. 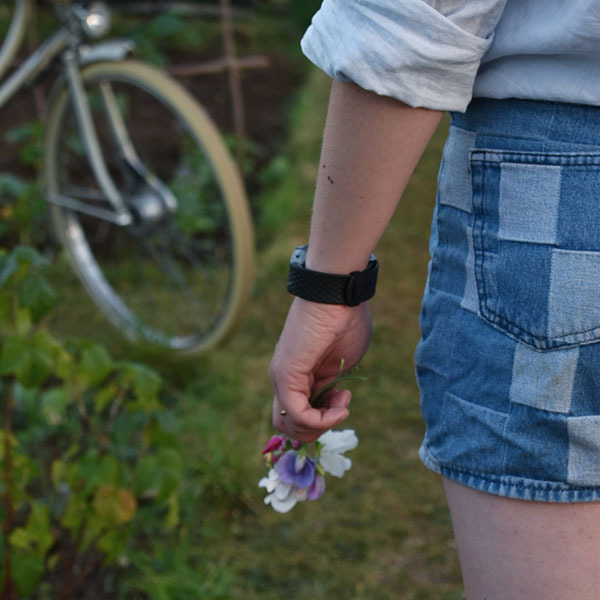 I mean me, well I just do the bloke thing, stick on a camo t-shirt and the same muddy jeans I wore at the weekend, rescued from the wash bin, always fun if I happen to combine allotment visits with a school gate pick-up. Yes I do have a job, I’m not homeless… not easy to carry off in the Surrey Hills. 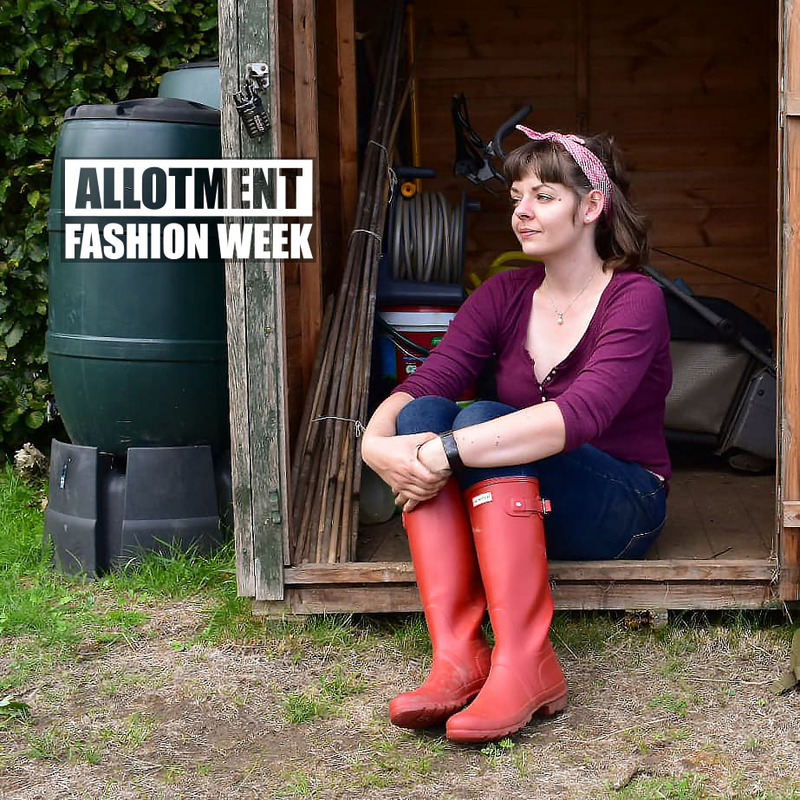 Anyway, here are two wonderful allotment owning ladies who introduce us to “Bodgers” – the name for allotment clothes apparently (I’m stealing that) and “creative ramshackle styling”. 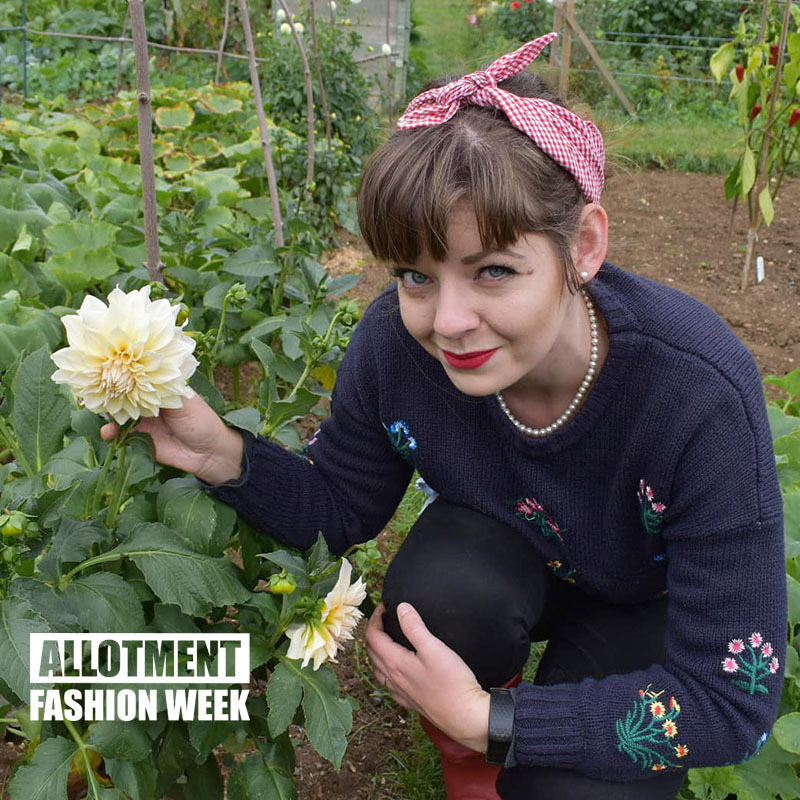 There is so much style going on in this post that I almost wish I was a woman with an excuse to bring glamour to my own allotments. 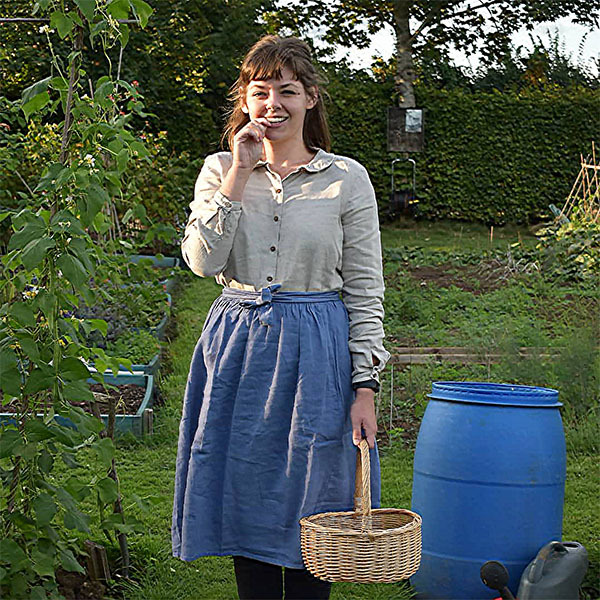 I like the idea of a vintage headscarf and nail varnish, perhaps I’ll raid MrsGrow’s wardrobe next time she’s out at Badminton and give the older plot holders a shock. 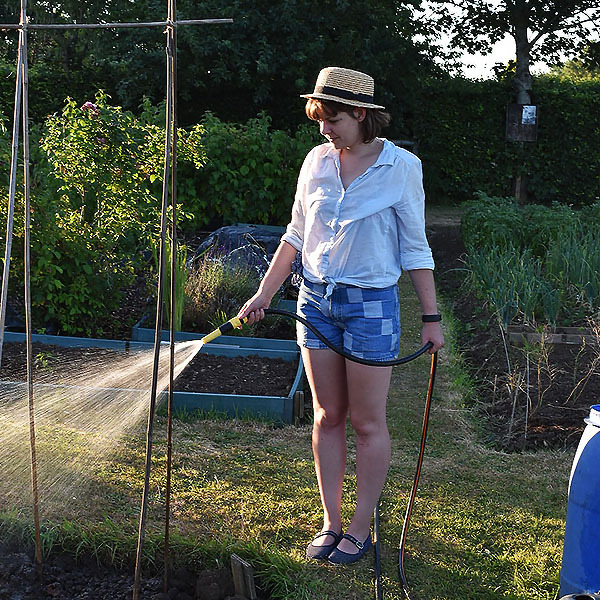 Bryony never wears gloves unless she absolutely has to as she finds it restricts movement. Apparently hard-wearing denim is a better choice as they usually end up with muddy hands wiped on them and secateurs haphazardly shoved in a back pocket. 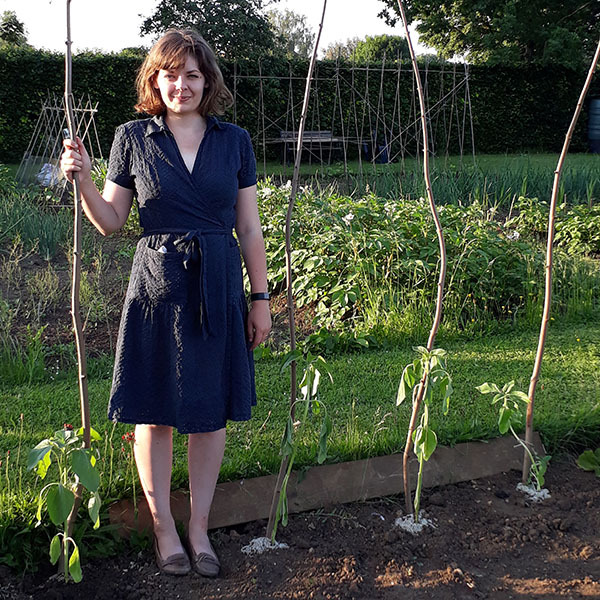 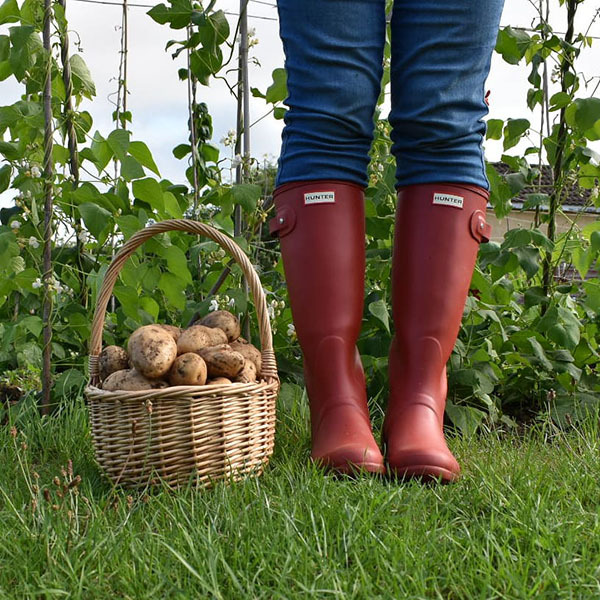 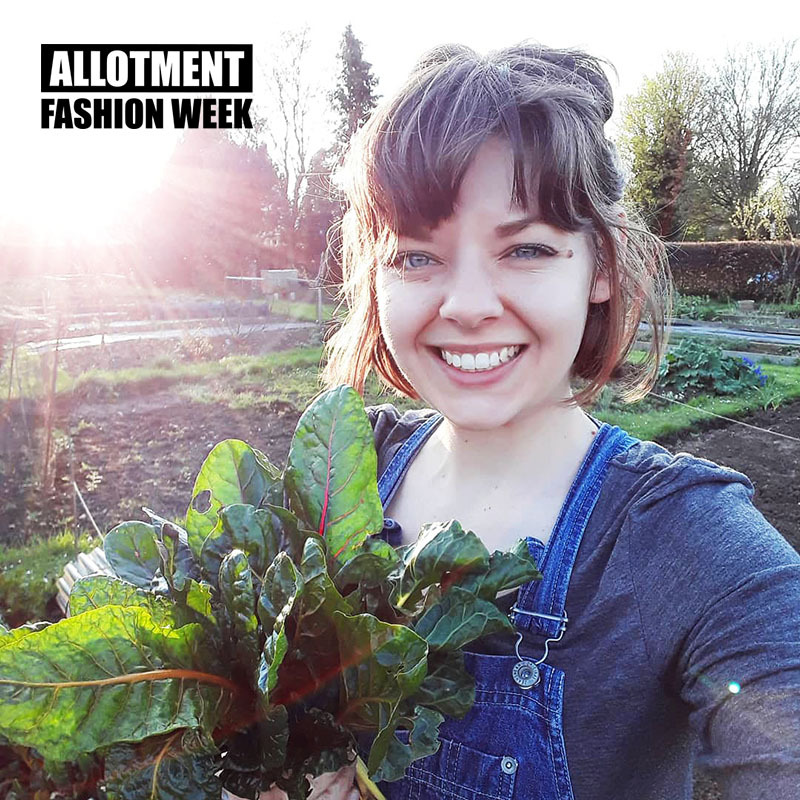 Finally, Bryony said she couldn’t talk about allotment fashion without highlighting her enormous love for brightly coloured wellington boots (shown below)! 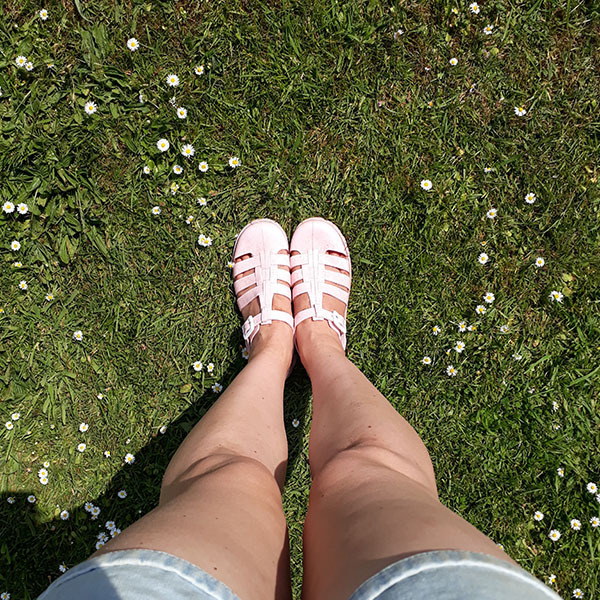 Bryony says her wardrobe is a weird and wonderful combination of “the comfortable, the practical and the downright fun – and absolutely in that order”. 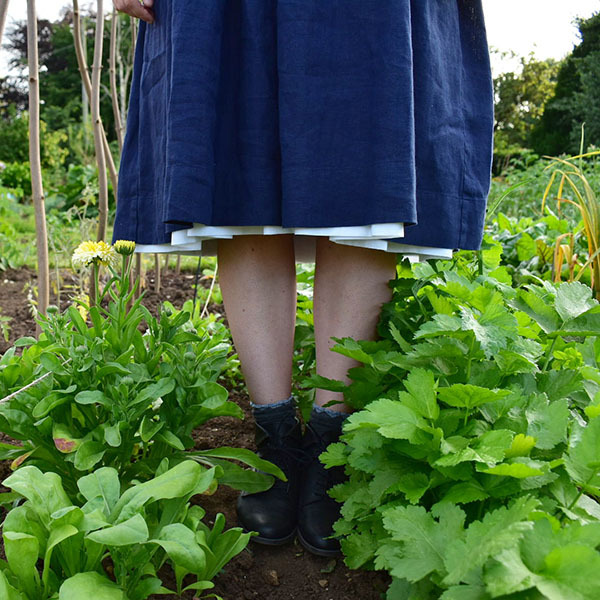 Fashion essentials on Roweena’s allotment include old jeans, rolled up at the bottom in the summer. 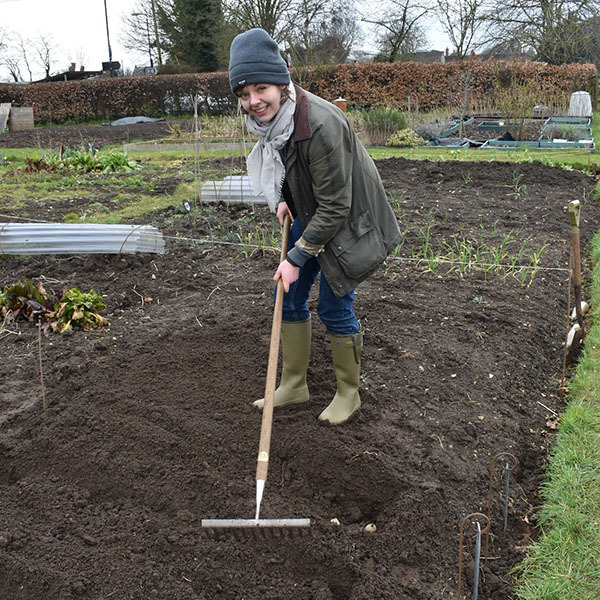 Roweena favours the fluffy bed-head hair look and has no time for straighteners if spending the morning furiously pulling up couch grass. 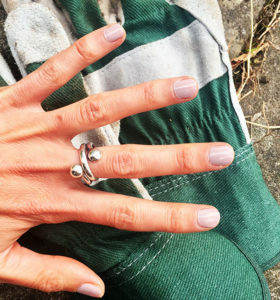 She will however give her nails a splash of colour which, like Rachel yesterday, “can be useful for making grubby allotment nails look presentable” (although Roweena does not describe herself as a girly girly). 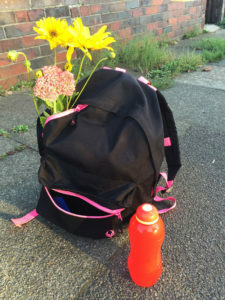 Finally Roweena recommends a cheap backpack for carrying essentials: biscuits, seeds, secateurs and a PBD free water bottle to keep hydrated. 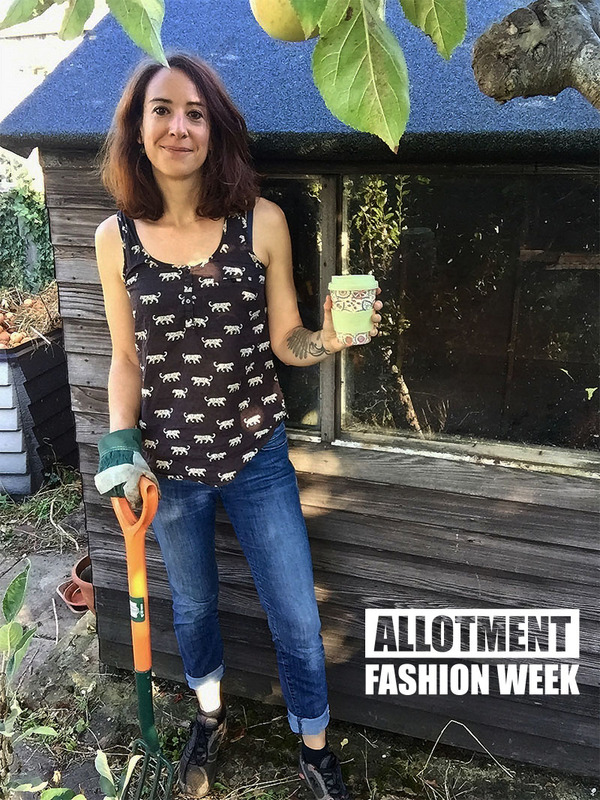 Next Article #AllotmentFashionWeek Day FOUR – Trousers Off, Hats on.